ship’s bridge, a photo by jayfherron on Flickr. There is nothing but amazement as how all is orchestrated through out our life. I know now more clearly that it is not me that is in control. I truly do need to move on towards another level of advocacy for the ‘silent wounded’ as I have mentioned at least a dozen times before. I also need to move on myself! There is this peace that I found while out at sea! I was on a ship capable of carrying 6000 semi-containers across the oceans, with a crew of only 21 men. Most of the day you rarely saw a soul. It was possible to remain totally alone any where you went from one end of the ship to another. The world beyond our sight had no news for us, we were alone on the sea. It was like being on a world of your own. The size of the house of the ship was 7 storeys high, sitting above another 14, or more. In its quiet state it looms out at you from the very size of it all. I felt at ease when walking the passages between starboard and port…forward and aft. The fear that over-comes me when in a large public building did not exist here! Hearing the voice of God out in the surf soothed me, this is true! My friends have remarked that I seem distant in the sense that it appears that I am stuck out there…and I am! Many nights I sat in the high seat up on the bridge and imagined what it might have been like if I was able to finish a career in the Navy. I would sit there in silence for long hours as if I was assigned duty there. The ocean keeps one mesmerized! I found a dime once during a walk deep in the woods behind my place. It was not just any dime, it was a shining clean new dime placed there by angels! I knew it the moment I saw it…I knew exactly where it came from even though this dime was in a place where it has to be impossible for a dime to be found, but in my heart I was trying to resolve a thought about an issue and somehow had thought about the dimes my grandmother would give us for ‘car fare’ to visit the city of Washington DC. The very moment I thought of her and those dimes I looked down and saw the dime! I had a hawk fly in my house one day…it was the day of December 31…new year eve! The hawk was an angel to bring a message of my being on the right path, to be assured, to be given strength. The hawk had been stopped by the window opposite the open door it had flown in, somehow it had enough faith itself to allow me to close its wings and carry to freedom…any other bird would have flown nuts through-out the house, this hawk just waited for me to be fearless enough to save it to freedom. The hawk was an angel. New year eve is the date I was raped! I went to a home store yesterday evening to buy a few home repair items. It is not even yet Fall but the move of shelf space in order to get the lead on crixmix is upon us there! Seeing the evidence of the up coming holidays always brings a sore on me as reminding me in one solid lasting way of “remember barracks D?” …and I do! I have avoided being a part of this. My telephone rang last week and it was one of the Croatian officers from the ship I traveled on. The recent hurricane had forced the ship to stay at sea to avoid any conflict with the storm and delayed my friend from rejoining the crew. I drove up to where he was stranded to be company for him. I had made promises to almost all of the men aboard that if they found themselves in the USA and needing help to call me! He believed me, and we spent two great days together. His comments were had he never called me he would only see America from his hotel window, so we made his visit in Charleston SC as a first visit to see the USA! He said to me some things that touched my heart! Things about friendship and things about the crew missing me when I departed. The ship is going around the world now! My friend convinced me to join them! In faith I came up with the money to do this with a checking account with a 3 dollar balance. There is more needed yet, but I can see it working! I had thought the dream of going around the world one day a mute idea, but I never expected it would be this soon. And it has to happen! It is in the orchestration of things, those things I have no control over, those things that are the guide in our life. The kind who put the shiny dimes in the path! I see what it is about! No one ever cared to know about what happened to me in barracks D! My family was hurt because it was a detention barracks, my family was hurt because I only served 7 months,two in the detention, and was discharged early. No one asked my side of the story, all I knew was one officer told me to “get used to it”….it has all never been the same! No one really knows it was a kid trying to go to his family for a Christmas! I knew my life had taken steps to be a man and to serve my country, but it was still family my boy heart was stuck with and the first time ever away from home for Christmas had been not so easy to settle with. I was just trying to get home! My plan was flawed and created the rest, but I was not a bad guy running away from my duty. I enlisted to serve, I did not burn my draft card and flee to Canada…I enlisted to serve! No one wanted to know the truth, and no one asked, and I grew more bitter. Especially about crixmix! It keeps an annual reminder going…this is the date,this is the date, this IS the date!! I turned 60 years old a month back. I look in the mirror and I see a 60-year-old man. In my head I see the 18-year-old me! I still feel that kid…I am still a child. I still remember then! I have to try to revive other pieces! A year ago…two years ago, I could not have told you the same thing I am telling you now! I would not have believed it on my own, if it was being told to me! I had no plan in any form to do what I am about to do, nothing…yes,a wish, and much talk, but reality…no. I will spend the holiday season on the sea. There will be no avoiding the season. I have seen the photos of the ship’s crew, and been with them during Easter…watching grown men with Easter eggs, having true joy! Some of the photos showed the signs of a spirit aboard the ship, yes…Christmas, and new years eve…all at sea! Something happened Friday that just sort sealed the deal…unfortunantly,I cannot express any kind of details because of privacy and all of that, but at an office somewhere I had something happen that connected me with my brother Frank. I was a good moment, a seed of some sort…perhaps, but it really made me praise the moment because of how distinct the connection was. Frank contributed to the way the pain began. My whole intent is to try to battle this monster that haunts me! I never heard any words of interest in my life until I met a therapist at the VA five some odd years ago. Once the silence was opened to someone who cared and who told me to fight back, I refused to shut up or give up because it was hushed for so long that when it was revived by someone else I promised never to keep quiet about it! I WILL NOT write any more here after this! I have become reptetative in my speaking about my life here to the point that everything is here! My words are always here, you can always read them, and as long as I am alive I am the young man that experienced them and wrote them. I AM NOT going to be quiet about this as it happens to so many others who are still afraid and are silent, so the voice that has been opened will continue…it just has to be in another venue, and more heard then now! 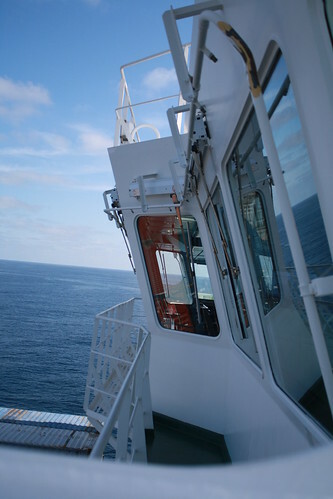 …but remember,in two months I will be out of touch for THREE MONTHS at SEA! There during that time I am going to finish the book I began on my first passage! Look for the finished project…it will be available!